The ELITE Chef steel magic corner kitchen pull-out storage unit is the best solution to maximise the use-age of and access to the corner space under your kitchen bench. It pulls right out to conveniently present all your stored items - and applies a soft braking/closing mechanism to the last stage of closing so the door does not slam shut with its Soft Stop Plus Technology. The stainless steel baskets are highly practical and more popular than the chrome wire basket versions. Easy to install and completely adjustable. Both Left and Right opening versions are available - see description below. The ELITE Chef steel magic corner unit is the best solution to maximise the usage of and access to the corner space under your kitchen bench. This ingenious unit pulls-out to conveniently present all your stored items. With one simple pull out movement the intelligent deisgn of this slide-out system pulls out the two door-mounted baskets and a rear set of two larger baskets to an accessible position. It has a total load capacity of up To 5kg each Small Tray and 7kg each Large Tray evenly placed, with a total weight capacity of 24kg for the entire unit. Unlike some other chrome coated wire basket units, where small items cannot stand easily on the wire supports, this unit includes full stainless steel baskets in a beautiful soft textured finish that ensure everything stays in place. 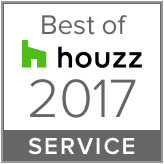 If quality matters, you will choose stainless steel. The smart design provides you durable and effortless access with an almost effortless smooth and quiet pull out. The Soft Stop Plus mechanism will apply a braked close to the last stage of the closing motion so the close is soft, the door returns to closed position, and the door does not slam Quiet and smooth! 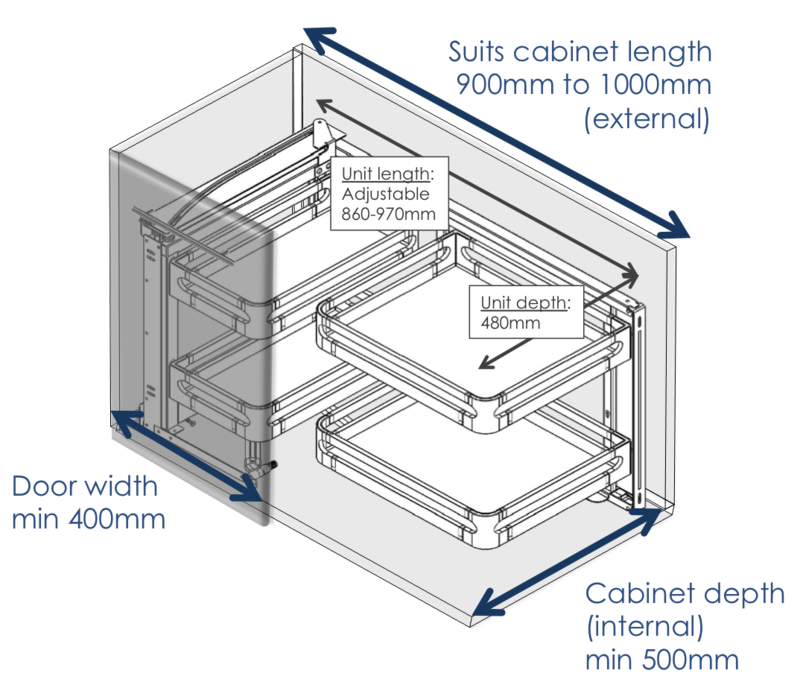 This is designed to fit standard Australian cabinet sizes and has flexibility to adjust for variances. See the diagram below for minimum measurement requirements. The unit has a newly designed fast assemble frame that is fully adjustable once installed. Your cupboard door is affixed to the unit so a gentle pull pulls out the baskets. 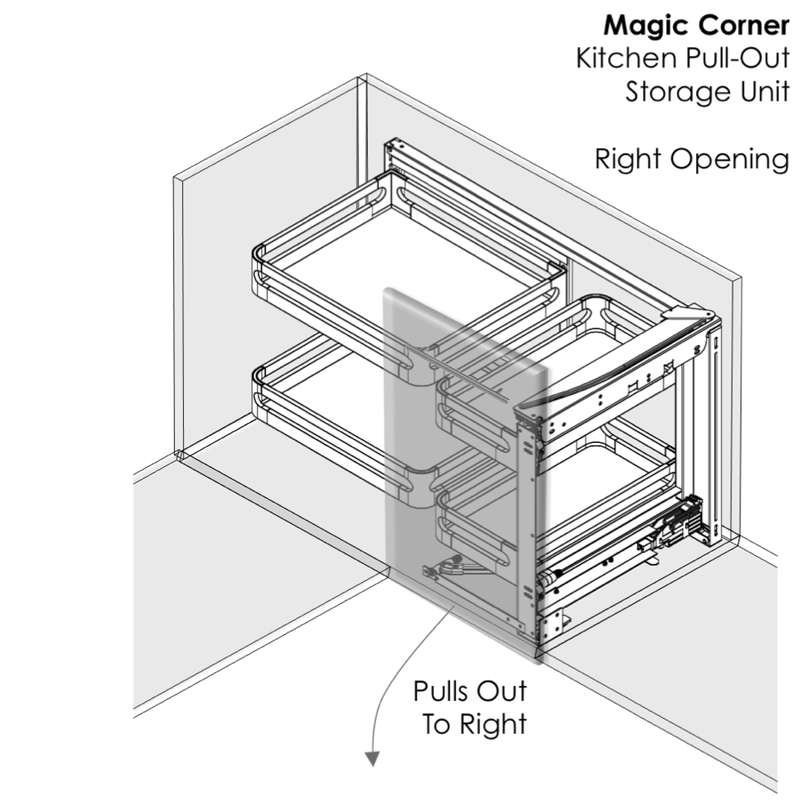 Your magic corner will be easily integrated into your kitchen. Ensure you select the correct opening unit - see the diagrams below.